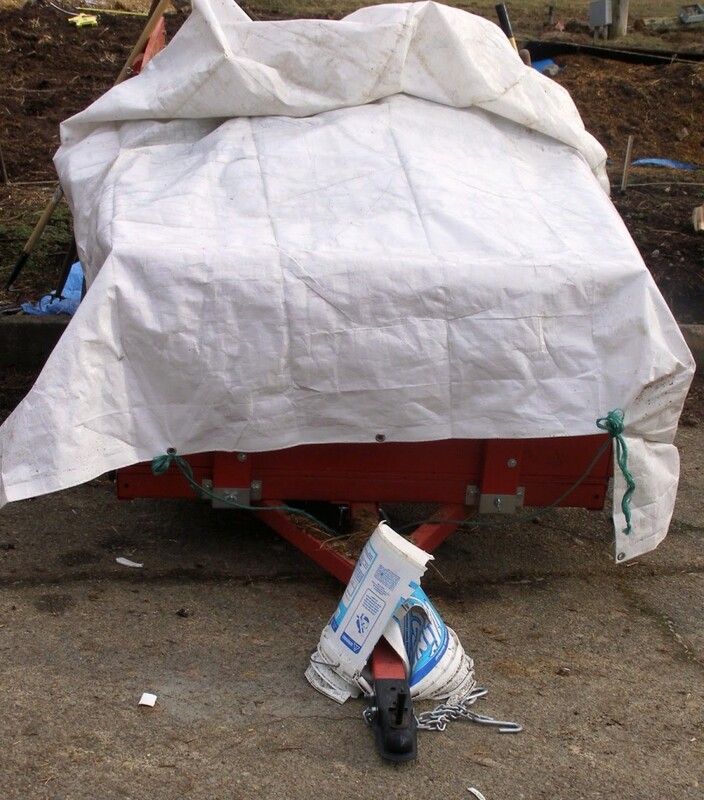 Some trailers come with their own support that keeps them up so their hitch doesn’t drag along the ground. For those that don’t, I often see them propped up with either a cinder block or a 5 gallon bucket. That’s our little red trailer, held aloft with an old laundry soap bucket. But that story doesn’t have a happy ending. A bucket without a lid is seriously handicapped when it’s asked to stand up to a load. But with a lid, a bucket will impress you with how much it can support. This large boat sits out behind my apartment building. The metal foot which you can see in the picture is missing its pin, so it’s no longer able to bear a load. 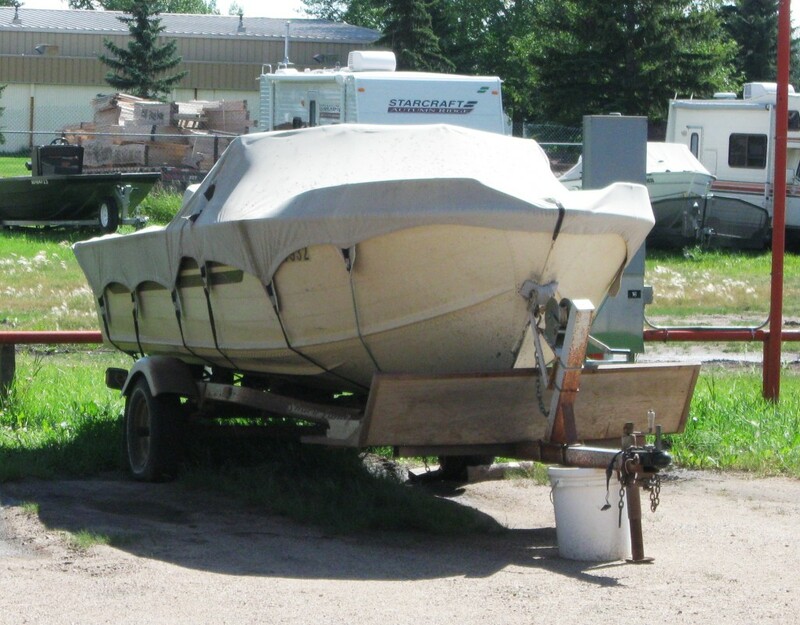 The owner stuck a bucket under there – and unlike the bucket we used for our trailer – it’s held strong all summer. According to the Pro-Western Plastics bucket spec sheet, a single 5 gallon bucket with a gasket lid can support 550 pounds. That’s 220 kilos for us Canadians. A snap lid will only support 308 pounds, so be sure you know which lid is which! That means that 4 buckets lifting together are capable of propping up just over a ton. So you could conceivably prop your car up on buckets instead of cinder blocks. If you’ve got a small car. 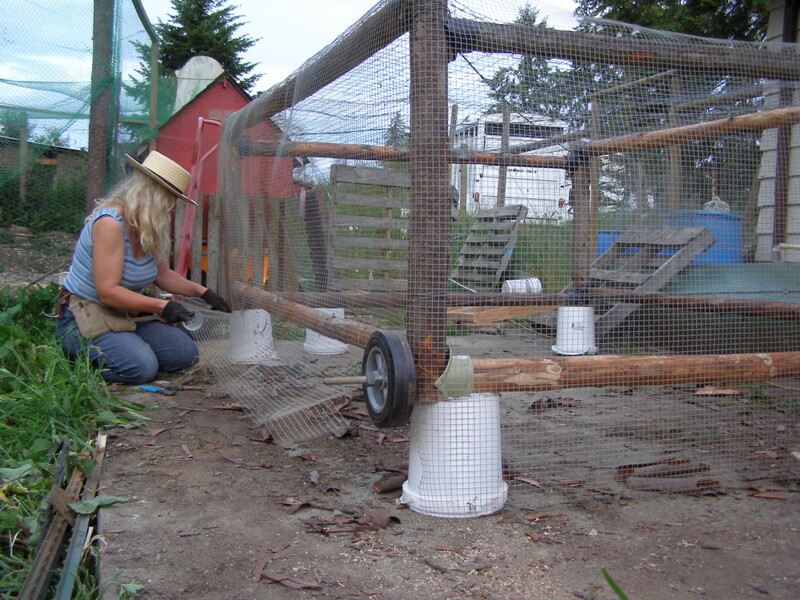 Finally, here’s the log framed chicken tractor we’re building, propped up on bucket cinder blocks. 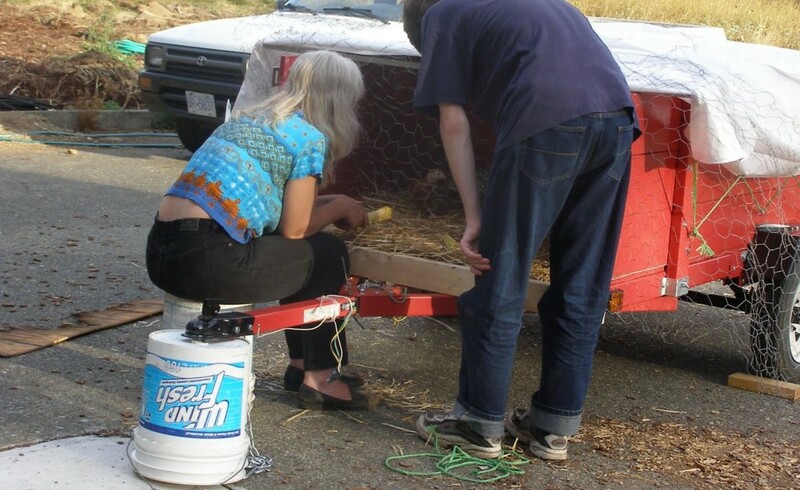 Raising it up high in the air like that allowed us to easily make the hardware cloth a couple feet taller than the tractor itself, which prevents varmints like minks and raccoons from getting their teeth into our meat muffins.